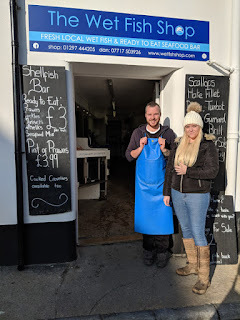 I recently had the pleasure of meeting a lovely young couple called Dan & Hollie who own 'The Wet Fish Shop 'in Lyme Regis. They agreed to an interview to give me an insight into the reality of life as a Fishmonger. It was first thing in the morning when we turned, they were just setting up for the day so Dan was already working on the fish and Hollie was helping to take orders from the customers that popped in during the interview. When did you take on The Wet Fish Shop? What was it that drew you to taking on a fish shop? Hollie - "Dan has been a fishmonger most of his working life, so when the opportunity came up to own his own place he wanted to jump at it. I've actually had a life long fear of fish, so for me the idea was obviously hideous. I will admit i was petrified of the idea at first. The first time i actually held a crab i cried! Dan though is obsessed with fish, he loves them, eats fish all the time and loves working as a fishmonger. So i faced my fear, i wanted to support him. I'm getting better. I help him with the paperwork and the business side of things thought mainly, so we work well as a team. Why Lyme Regis? As you live in Seaton? Hollie - The opportunity came to us really. Lyme isn't far from where we live so it was something we didn't want to miss out on. I'm not actually from around here as you can obviously tell from my accent i came down about 4 years ago but Dan is a Beer boy, has always lived down here. 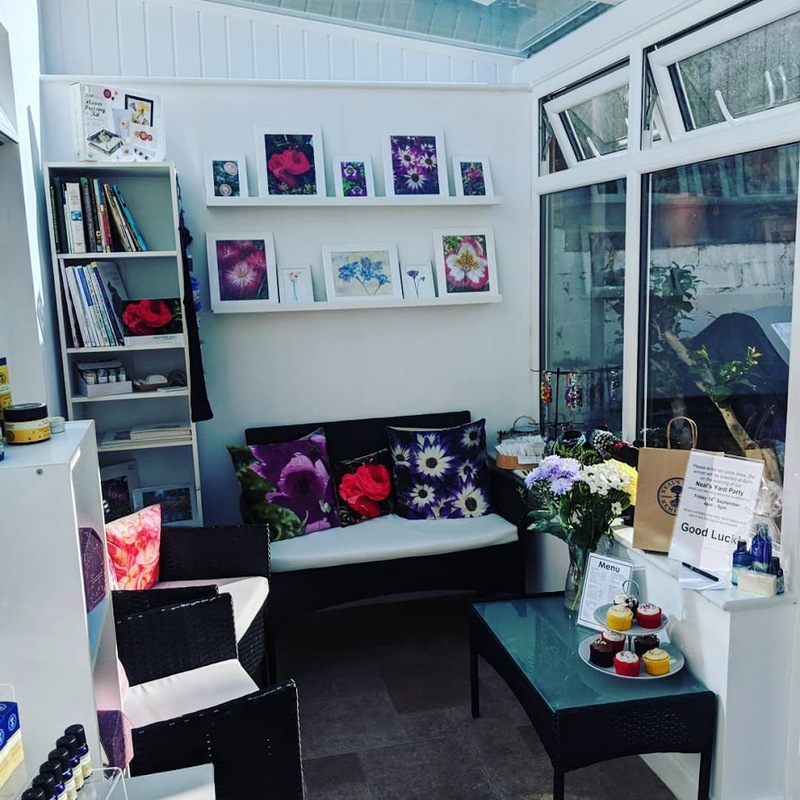 What do you love about owning a shop in Lyme Regis? Dan - It's a fantastic place to work, look at the view we have here from the shop. Overlooking the harbour, you can essentially see where the fish has come from (via the markets obviously but we know that most of it comes off the boats from here, we can see them come in) It's a lovely place to be, especially in the summer, it has a real buzz. Dan - I buy the fish from the auctions, the main one being in Brixham. I have to get on the road in my refrigerated van around 4.45am on market days it takes an hour to get there and over an hour to get back. I have to go 3 times a week in the summer and 2 times a week in the winter. Obviously prices vary, when the seas have been rough they are more expensive than when the seas have been calm. When i get back i then obviously have to prep it all before it can go out for sale. 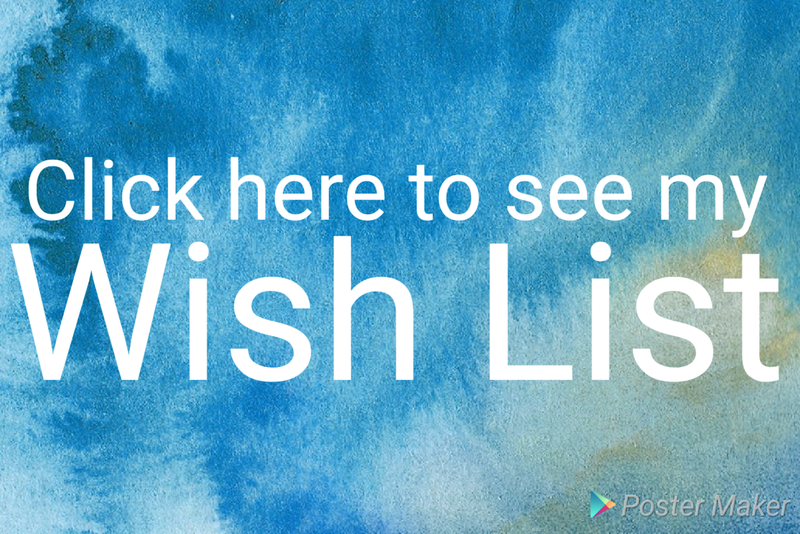 It's a tough job but i want to see what i'm buying, i want to make sure its the best i can get. Dan - Yes, though it changes through the seasons as to what we can afford. We have an experienced Fishmonger who comes in to help me prep when it gets really busy, so especially over the summer. Then we have a part-timer who comes in to help us serving also. The majority though is done by myself and Hollie covers the paperwork and business side of things. Dan - Mostly i'd say it is passing trade and returning regulars but we do also sell to local restaurants too. One of the great parts of the job is getting to know the customers, hearing their positive feedback has been brilliant. Do you take orders in advance? Hollie - we do, we'll always do our best to source from customers requests. In fact we are taking Christmas orders at the moment so people can get in contact with us to place their orders. Do you notice 'trends' - for example if a particular fish is on a TV cooking show? Yes, we can usually tell when a TV cookery program has showcased a particular fish as we'll suddenly get a number of requests. Most often though people request what is seasonal, as obviously it all comes down to what is available at the time. In the summer one of the popular things is fish for BBQ's and at Christmas everyone wants Salmon & Prawns. Do you have to do much marketing in this sort of business? 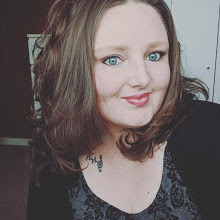 Hollie - This is the part of the business i love working on, i've set up an Instagram and Facebook page where i upload photos, recipe ideas and update on what we have in. 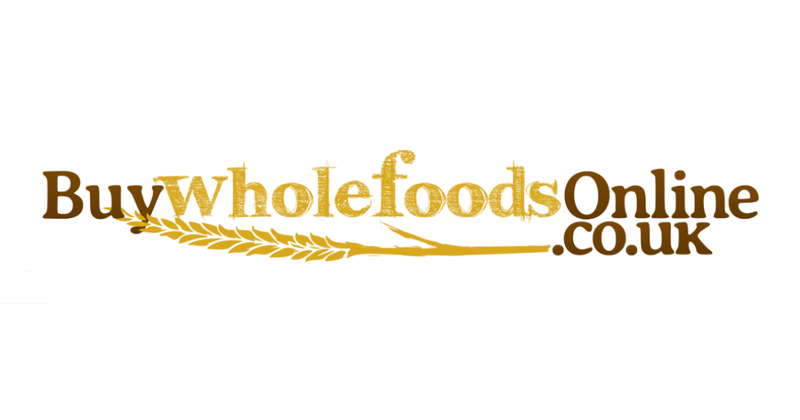 Online marketing is so important these days to reach customers, we will be working on this even more in 2019 and hope to let even more people know about what we have on offer here. A massive thanks to Hollie & Dan for their time. They are honestly one of the most lovely couples i have ever met. 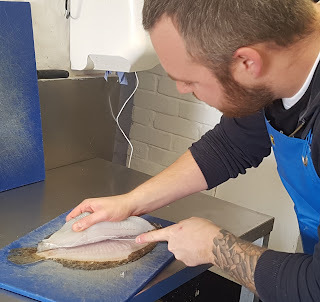 Dan is very passionate about his job, his experience and knowledge about the fish is fantastic. I learnt so much from him in the short time i was there, i had so many questions and he was happy to help. 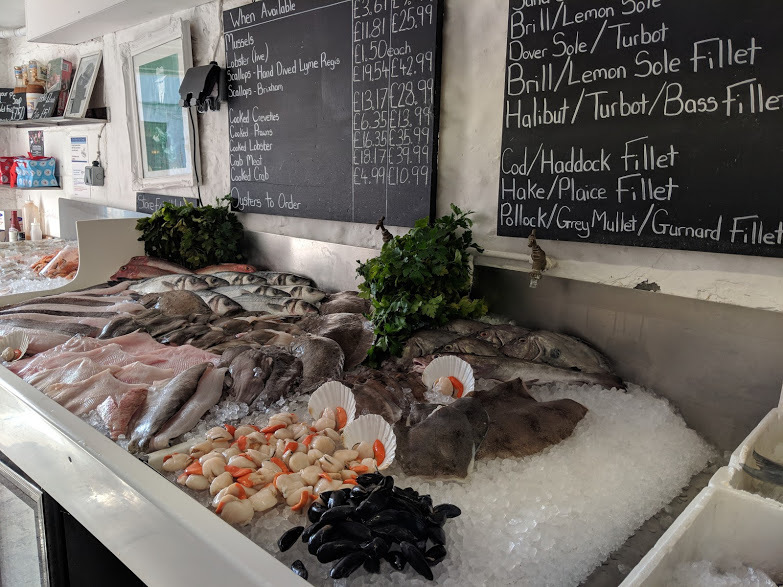 Please do go and see them in Lyme Regis, they have a fantastic selection of fish available. I was lucky enough to be treated to some Brill to try, i took it home and Jon cooked it for us and my sons Reuben (8) and Finley (6). They loved the fact that they could see the photo of Dan filleting the fish specially for us. It was a great conversation starter and the boys really loved finding out about what i learnt and where their food came from. I will be taking my sons to visit one day so they can learn more from Dan about the fish and choose another fish to try. I'll post up the recipes on my blog to share with you what we made. I'll give you a hint though...it was delicious!